Custom cotton tees with your brand! 33 color(s) to choose from! 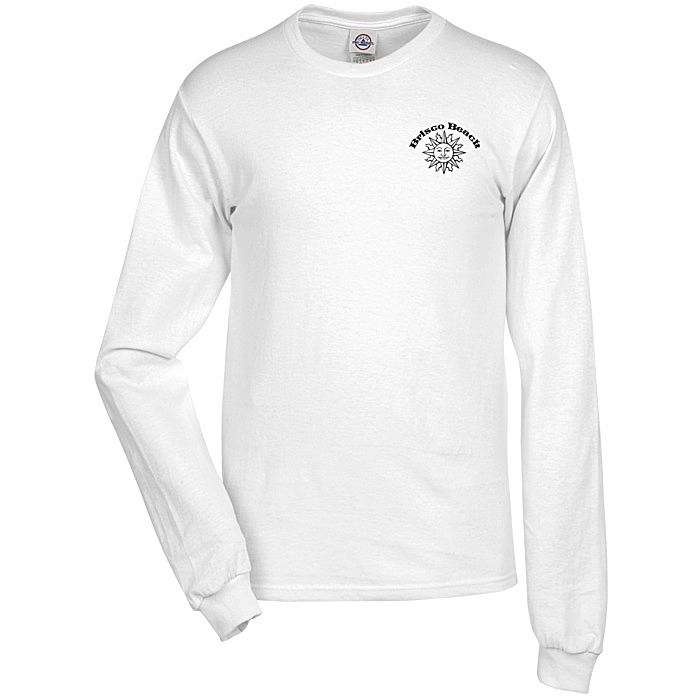 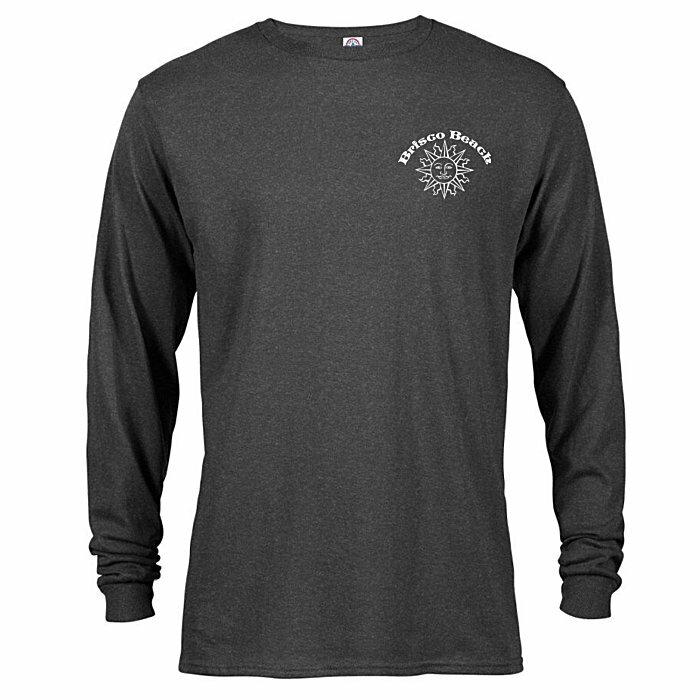 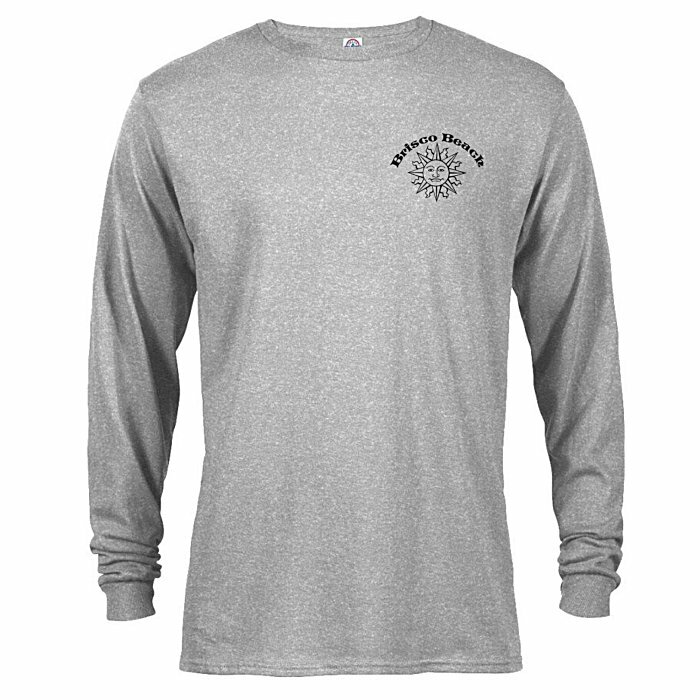 This long-sleeve crewneck tee is made of 5.2-oz 100% preshrunk cotton. Athletic Heather is made of 90/10 cotton/polyester. 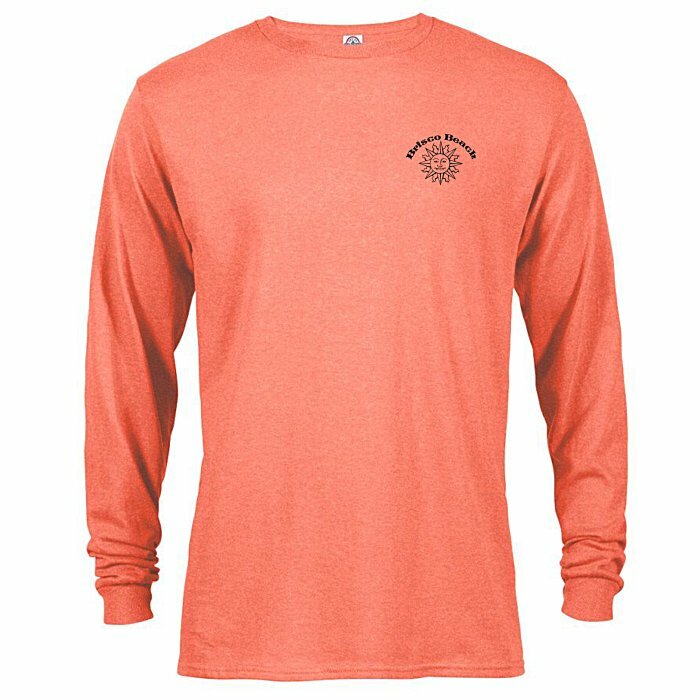 Charcoal Heather, Coral Heather, Denim Heather, Royal Heather, Safety Green, Safety Orange and Safety Pink are made of 50/50 cotton/polyester. 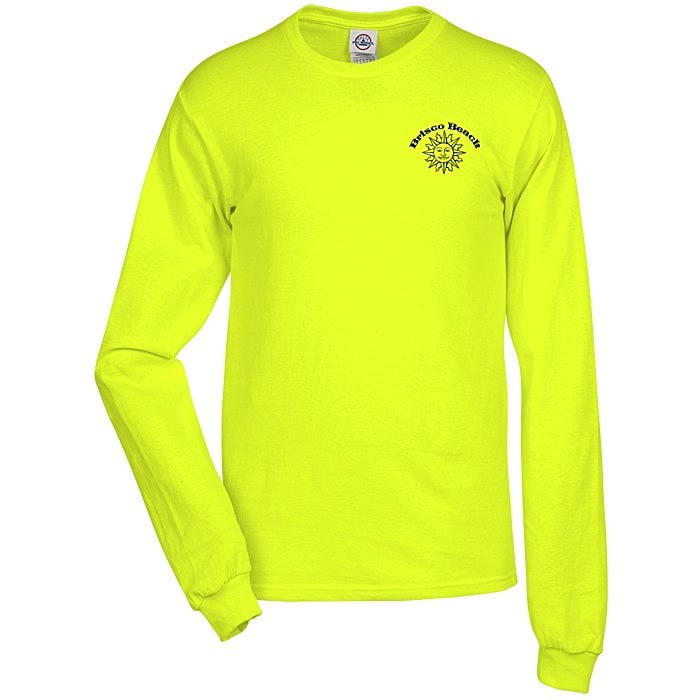 Features a taped neck and shoulder seams with a rib-knit collar and cuffs.